Electronic pressure sensors usually measure the change in pressure through the deformation of a diaphragm. If this diaphragm is exposed to the process pressure on one side and “vented” on the other side (and thus exposed to the ambient pressure), the deformation is reduced (because it is counterbalanced) by exactly this ambient pressure. 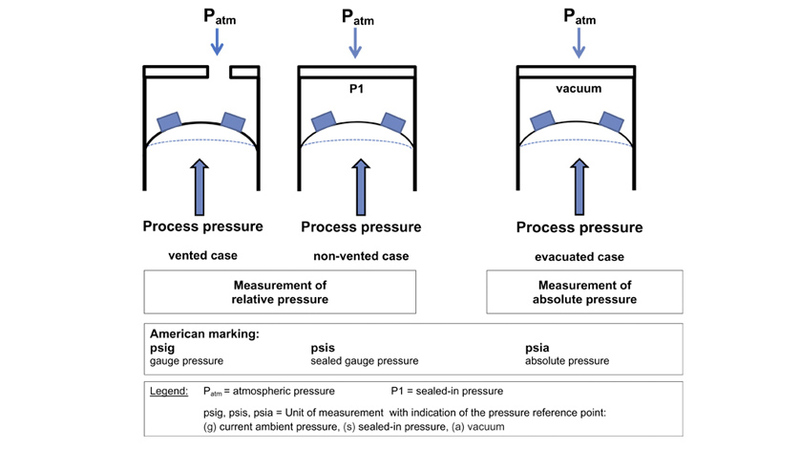 Therefore, the measured result is actually a pressure difference between the process pressure and ambient pressure. For absolute pressure sensors, the “internal” side (the side of the sensor not in contact with the pressure media) is subjected to absolute vacuum and then permanently and hermetically-sealed. Thus, the measured deformation of the diaphragm is independent of the ambient pressure and always refers to the enclosed, sealed in vacuum as its reference and zero point. It is this design which allows measurement of the currently present ambient pressure because the enclosed vacuum (“0 bar ambient pressure”) represents a fixed reference point which is independent of the current weather conditions and the altitude of the sensor. A typical application for absolute pressure sensors is the so called barometer, a device where the current ambient pressure is measured and its variation used to predict changing weather. Another application would be a device called altimeter (or altitude meter) which measures the atmospheric pressure and converts it into an altitude reading typically referenced to mean sea level. It uses the effect that atmospheric pressure reduced with height and can therefore be used for this purpose. In industry e.g. applications with low pressure ranges that need a measurement of vacuum, require absolute pressure sensors for high accuracy. 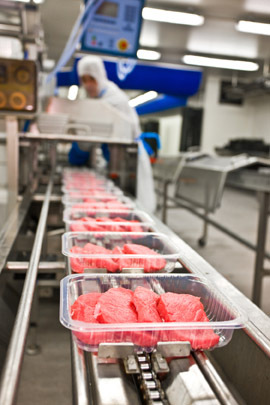 For example, in meat packing, a vacuum of a defined quality must be generated, so that a maximum shelf life can be safely ensured. The residual amount of oxygen in the packaging (i.e. the residual pressure relative to vacuum) is directly proportional to the shelf-life of the packaged food. Using a relative pressure sensor in this case, would lead to measurement uncertainty due to atmospheric changes of up to +/- 30 mbar. As the maximum residual pressure in the food packaging should be 65 mbar, this would lead to substantial fluctuations in the expiry date that could no longer be guaranteed.